Is a free software package that aims to bring the holiday spirit on your desktop. to provide you with a spirit of winter and waste some of your superfluous cpu-cycles. Christmas Tree: Add a fresh touch to your desktop with Christmas tree. It can optionally stay on top and you can adjust transparency - a mouseover hint reveals how many days are left till Christmas. Freeware, Partial Open-Source, link to this website required. Microsoft Windows 2000 or LATER versions. Works great on Windows XP. 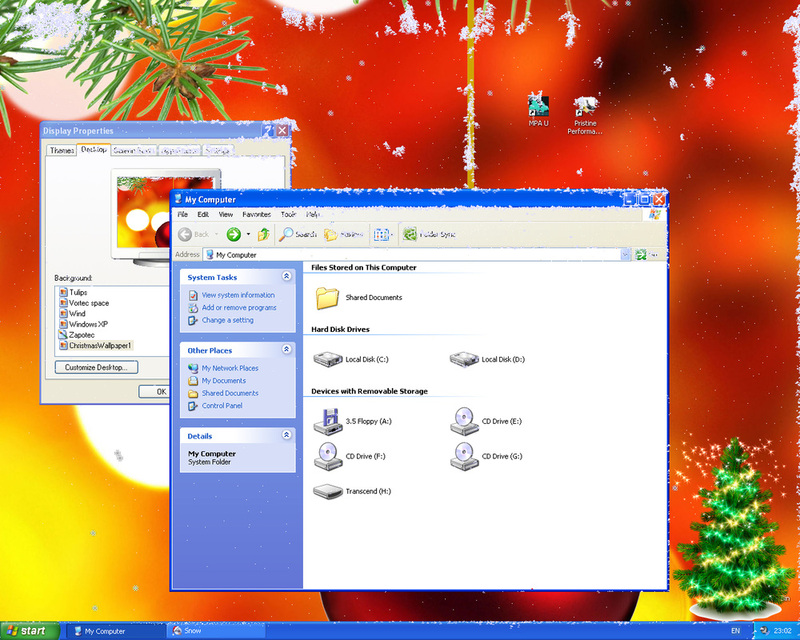 Some bugs on Windows Vista or later versions. WARRANTIES OF MERCHANTABILITY, FITNESS FOR A PARTICULAR PURPOSE AND NONINFRINGEMENT. IN NO EVENT SHALL THE AUTHORS OR COPYRIGHT HOLDERS BE LIABLE FOR ANY CLAIM, DAMAGES OR OTHER LIABILITY, WHETHER IN AN ACTION OF CONTRACT, TORT OR OTHERWISE, ARISING FROM, OUT OF OR IN CONNECTION WITH THE SOFTWARE OR THE USE OR OTHER DEALINGS IN THE SOFTWARE.